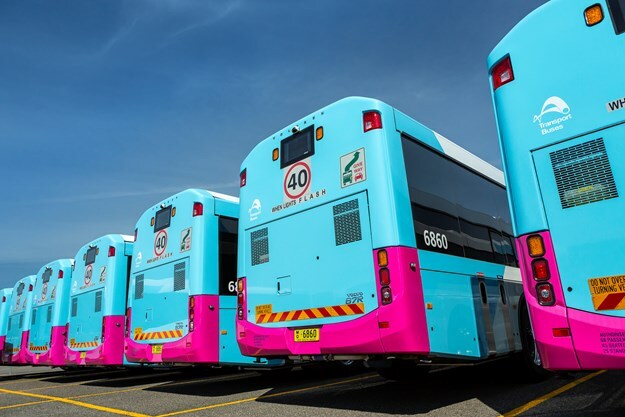 As part of Sydney Metro’s upgrade, CDC New South Wales worked closely with Volgren and Volvo to deliver over 60 buses in just 140 days. Intensive planning, communication and process efficiency all came together to achieve an impressive result. 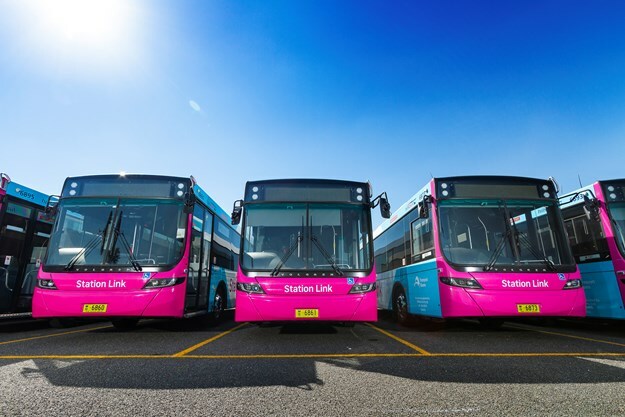 CDC New South Wales worked closely with Volgren and Volvo to deliver over 60 buses in just 140 days. 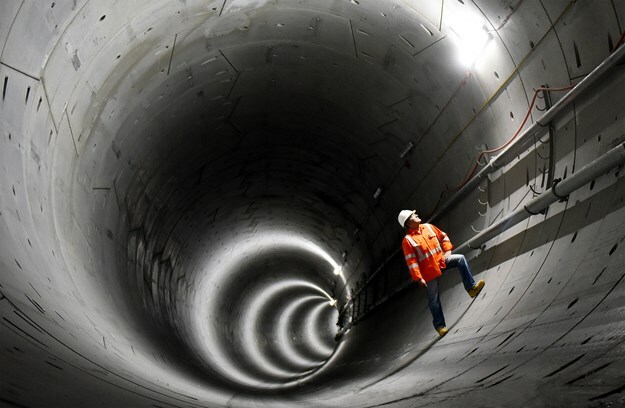 THE SYDNEY METRO may seem like a rail project – in fact, it’s been described as the largest in Australia – but when works began in earnest at the end of September, 2018, buses played an integral part. Transport for NSW required more than 120 brand new buses to make certain Sydney commuters could get to where they needed to go, the government organisation says. The contract was offered to a joint venture formed between two bus operators: Transdev and CDC. CDC New South Wales was obligated to provide half of the required fleet. Group engineering manager for CDC in New South Wales Michael Saradetch admits it was a significant task, but never one that felt unmanageable. "There certainly were points during the project where all our resources were stretched across the board, but we planned for those critical times when everyone had to be ‘all hands on deck’, There was a good combination of very thorough planning and highly competent people throughout the entire supply chain. As such, there were really no major surprises that occurred during the build and delivery phases," Saradetch said. Those "competent people" came from CDC, but also from the company’s two major partners in the project: chassis manufacturer Volvo and body manufacturer Volgren. "In a project such as this you have effectively unmoveable deadlines. In my experience, you have to remove the unknowns – as many as you can. An unknown would be trying out an entirely different chassis or body, for example. I didn’t want to embark on a product where there were too many first-of-a-kinds," he explained. This, Saradetch says, is why CDC chose the Volvo B7-Volgren Optimus combination. "The key fundamental we looked for in the purchase was a track record for punctuality of delivery. And the other consideration that led to [the selection] was our previous experience of product uptime, [which is] effectively a measure of reliability." General manager at Volvo Buses Australia Lauren Downs says reliability comes in part from decades of experience in the Australian market, but also from the company’s operations today. "We have the largest dedicated major accounts team in the industry and this proved integral to the delivery of this project. Very early on [in this project] – long before any of the chassis arrived here – we held a number of contract planning meetings to ensure we were ready to handle the load," Downs said. The critical importance of collaborative preparation is a repeated theme in this project. Saradetch talks about ‘thorough planning’. Downs describes the value of constant and often daily communication involving all three major partners – something that wouldn’t have been necessary during a less-intensive fleet delivery contract. And Volgren CEO Peter Dale says the unusually large volume required in the unusually short timeframe meant detailed organisation was essential. "We had to rethink traditional processes for delivery. CDC, Volvo and Volgren worked together to utilise all of their facilities and resources across two states, ensuring there was a pipeline full of buses," Dale said. All of Volgren’s manufacturing took place at its headquarters in the Melbourne suburb of Dandenong. 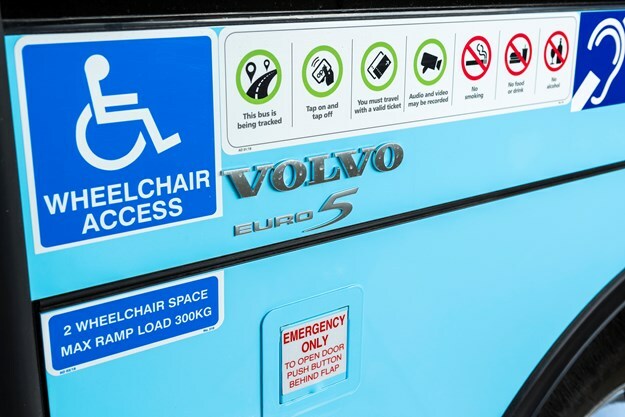 Both CDC NSW and Volvo Buses Australia provided dedicated team members to collaborate with the bus body builder in Victoria. Downs says Volvo deployed a full-time quality and delivery coordinator, based in Melbourne, who worked closely with Volgren, CDC, Volvo’s dealer (the CMV Group in Melbourne) and the Volvo Buses major accounts team in Sydney. "He was dedicated to the [fleet delivery] contract and, along with other key staff members and our partners at CMV, acted as the main communicator between the different parties and stakeholders. He also worked closely with CDC’s engineer, who came down to Melbourne regularly, to carry out inspections," Downs explained. CDC’s Saradetch says that inspection process, which took place almost the moment a bus came off the line, was as much about minimising congestion as it was about quality assurance. It also gave CDC a chance to see the Volgren team in action. "We had the opportunity to observe Volgren’s commitment on two fronts. One was their efforts towards defect minimisation. The buses were pretty much coming out close to perfect. We also got to see, first-hand, Volgren’s application of ‘lean principles’ along the production line," he said. The fleet contract involved delivery of an average of four buses per week and, at times, CDC NSW was accepting a bus every day. 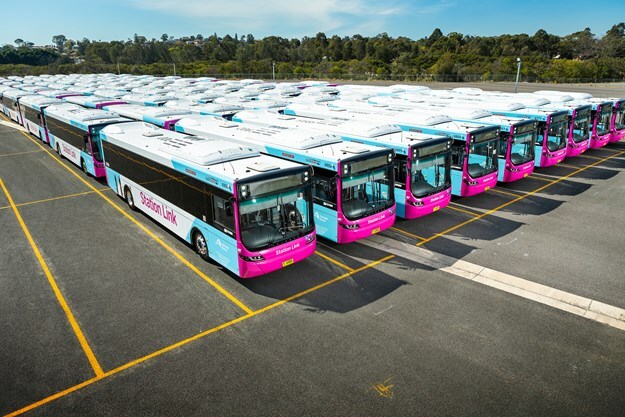 Volgren, for its part, increased its output to 2.5 buses per day and needed to significantly increase its resourcing at the Dandenong factory to meet the demand. The careful planning, the frequent, open and transparent communication, and the strict adherence to procedure, it seems, paid off. Well before the September 30 deadline the 62 Volvo-Volgren buses were delivered on time and on-budget to comprise 50 per cent of the required fleet. They were delivered ahead of schedule to the custom-built temporary depot in Camellia, NSW, for the project. 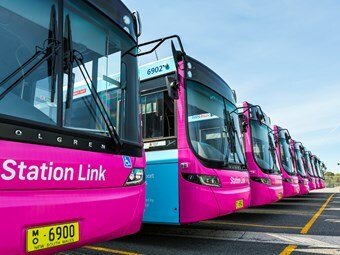 The buses, together with the Transdev-Bustech fleet, will serve the Station Link project and run as replacements for trains until the line between Epping and Chatswood has been converted to Metro-standard specifications. Station Link services are high-frequency, turn-up-and-go services that will keep the Macquarie Park precinct moving for around seven months while three train stations between Epping and Chatswood are closed for Sydney Metro upgrades. General manager of the joint venture Tony Ralph says the successful delivery of the fleet is crucial to the project. "People affected by the closure will jump on board these buses for a high-quality alternative transport option," said Ralph. Transport for NSW coordinator-general Marg Prendergast says they’ve been working hard with local businesses, residents and Macquarie University to help keep customers moving in the area. "Customers travelling in and around the Macquarie Park precinct have access to Station Link buses that connect them to stations between Epping and Chatswood every six minutes during the peak – that’s more than 110 services per hour in the busiest parts of the day!" she said. Once rail is back up and running again, the new buses will be redeployed. They’ll remain in New South Wales, although not many will stay in Sydney, Saradetch confirms. "Most of the buses will go to the Hunter Valley and the Blue Mountains and they’ll be replacements for the oldest buses within those fleets. 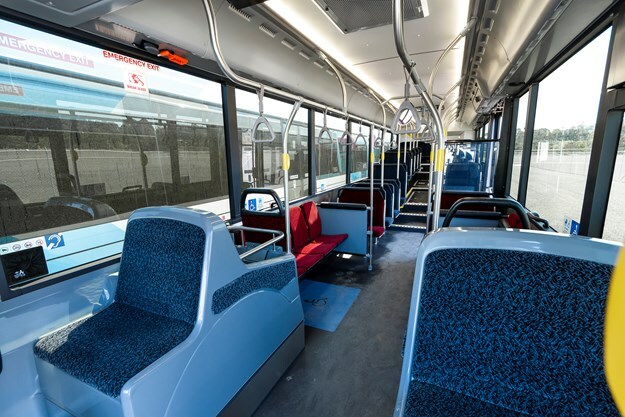 It will give the communities that we serve in those regions significantly improved access to wheelchair-accessible and environmentally-friendly buses," he said. Volvo Buses’ Downs says it wasn’t really until after the project concluded that she sat and reflected on the sheer size of the project and what all parties have achieved together in such a limited time. "Sixty vehicles in 140 days – that’s definitely a phenomenal effort by all involved!" she exclaimed. "Incredible things can happen when dedicated, professional and hardworking teams – CDC, Volvo, Volgren and Transport for New South Wales – work closely together with the one common goal."